Home / Face / What Causes Large Pores and Rough Skin? One hallmark of a beautiful, healthy-looking skin is a smooth and even texture. The sad part is, skin care concerns like large facial pores are very common, making your skin appear rough, bumpy and congested. What are large pores exactly? There are two types of skin pores: sweat pores and oil pores. Sweat pores, as its name suggests, perform the main function of releasing sweat. They are found all over the body and are much smaller than oil pores. Sweat pores are not much of a concern, as they cannot be seen with the naked eye. Oil pores, on the other hand, are the opening of the hair follicles and contain sebaceous glands. These are responsible for releasing natural oils or sebum that moisturize and lubricate the skin. They are larger than sweat pores and can be found all over the body, except for the palm of the hands and soles of the feet. 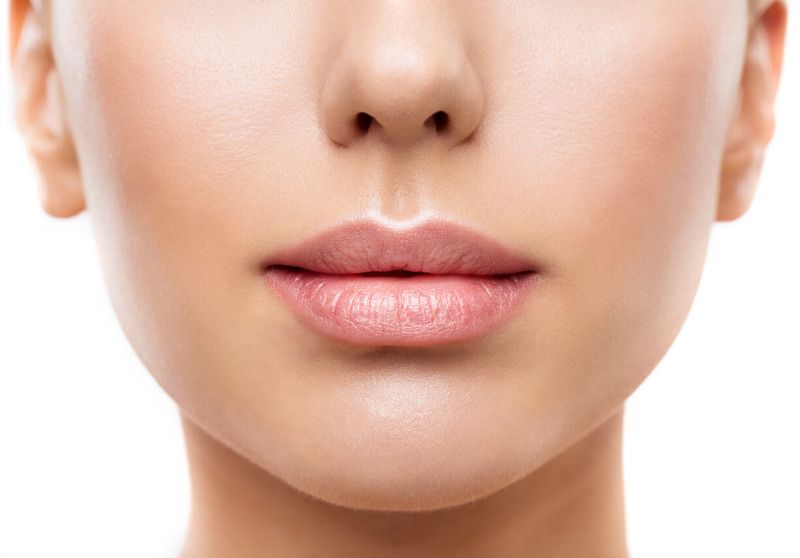 Oil pores are what we are referring to when talking about clogged or enlarged pores. A number of factors like hormonal imbalances, extremely dry conditions, poor diet, and the use of wrong skincare products can trigger the sebaceous glands to produce more oil or sebum than what the skin really needs. When this happens, your pores will expand and appear bigger. Aging process. As you age, the skin loses its elasticity, which can then make your pores look more noticeable. The natural aging process decreases the production of collagen and elastin and cell renewal activity, which increases the appearance of enlarged pores. Oily skin. Having a naturally oily skin makes you prone to having large pores. This is because it allows dirt, excess oil, and dead skin to accumulate and settle in your pores. This then causes the skin to swell and your oil pores to appear bigger than normal. Sun damage. Overexposure to sun speeds up the aging process, which is one main culprit of visible pores. It also reduces the water levels of your skin and shrinks the tissue underneath it. This stretches your pores, making them look larger than usual. Genetics. If someone in your family has visible pores on their face, it is likely that you’ll have them too. The same is also true for inheriting oil or acne-prone skin, which can make the pores look a lot more noticeable. Gender. Men produce more sebum and have larger pores than women. However, hormonal fluctuations brought by puberty, menstruation, and pregnancy can increase the appearance of enlarged pores in many women. While you cannot banish large pores completely, you can make them appear less noticeable with the right skin care and aesthetic treatments. You can also benefit from reading our previous blog to learn more about the seemingly harmless habits that can make your pores larger. 1. Cleanse your face daily. Do this twice a day and after exercising or whenever you sweat a lot. Be sure to use a gentle cleanser and a balancing toner, especially when completing your makeup removal at night. Just be sure to avoid over-cleansing, as this can inflame the skin and make your pores look more visible. Doing this the right way can minimize the appearance of your pores as it helps remove dead skin cells that clog the pores. Consider using exfoliating cleanser or mask at least once a week. For a more professional type of exfoliation, consider Microdermabrasion which helps to remove excess oil and dirt from your skin. Talk to your dermatologist or aesthetic doctor to find out if this treatment is suitable for you. 3. Try Laser Genesis Skin therapy. This uses a non-invasive laser technology to safely and effectively minimize large pores and treat other skin problems like fine lines, wrinkles, facial redness, and uneven skin texture. It uses US FDA-cleared laser technology to treat the top layer of the skin to improve texture by stimulating collagen growth resulting in a healthier and smoother-looking. 4. Undergo a Pearl Resurfacing procedure. Another US FDA-cleared device combines the power of resurfacing lasers with the safety and gentleness of non-invasive procedures to deal with a number of skin problems. These include large pores, sun damage, wrinkles, and uneven texture. It can give your skin a healthy, “pearl-like” glow with fewer treatments and less overall recovery than other technologies. This chemical peel treatment delivers superior and effective results for skin conditions like large pores, acne scarring, and fine lines. It has a clinically-proven formulation such as Retinoic acid, Salicylic acid and Vitamin C that can help to improve skin tone, texture, and clarity of the skin. You can learn more about VI Peel by reading our previous blog. Take better care of your skin to make your pores less noticeable and improve your skin texture giving you a youthful and smoother looking skin. Contact Cutis Laser Clinics today and schedule a consultation with our Harvard-trained aesthetic doctor, Dr. Sylvia Ramirez, to find out which non-invasive treatment is right for you.